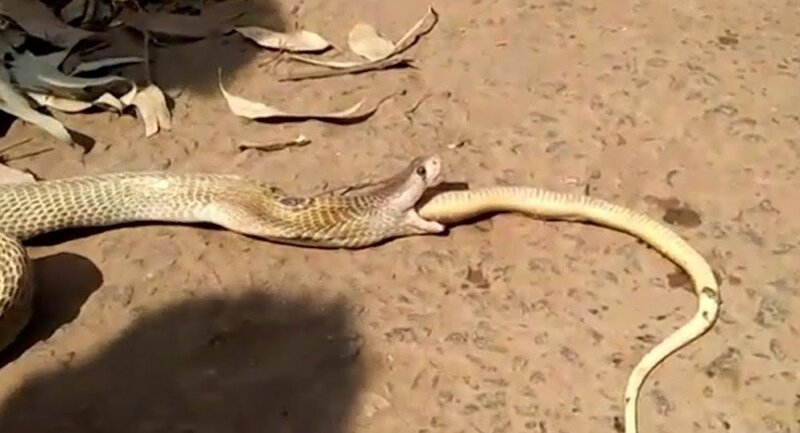 In the vicinity of the Indian city of Khurda, in the state of Orissa, a three-foot-long cobra first swallowed and then regurgitated another 90 centimetre-long snake. The video, filmed by an eyewitness, was published on Newsflare. The woman, on whose house property the reptile was on, requested assistance from the Snake Helpline organisation. A handler later unearthed a hole and took the hissing snake out, discovering that it had eaten a fellow cobra.